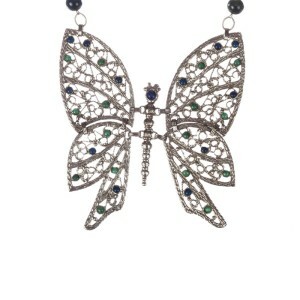 Amazing and huge butterfly pendant necklace featuring green and blue bakelite cabochons dotted throughout the wings. 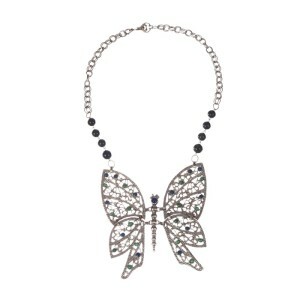 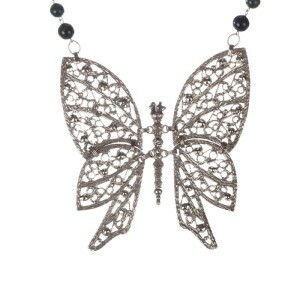 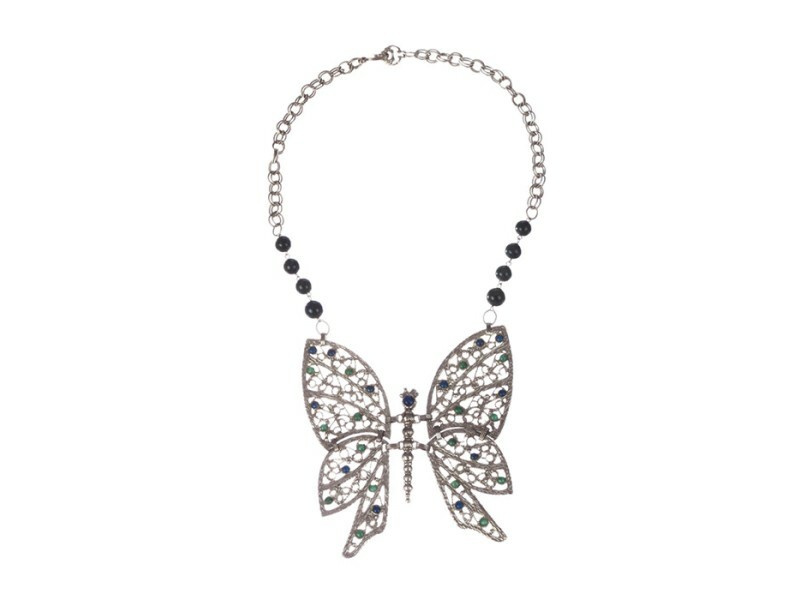 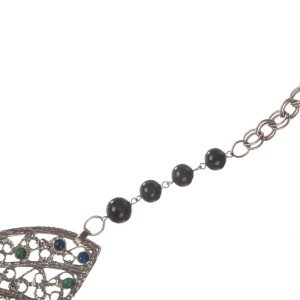 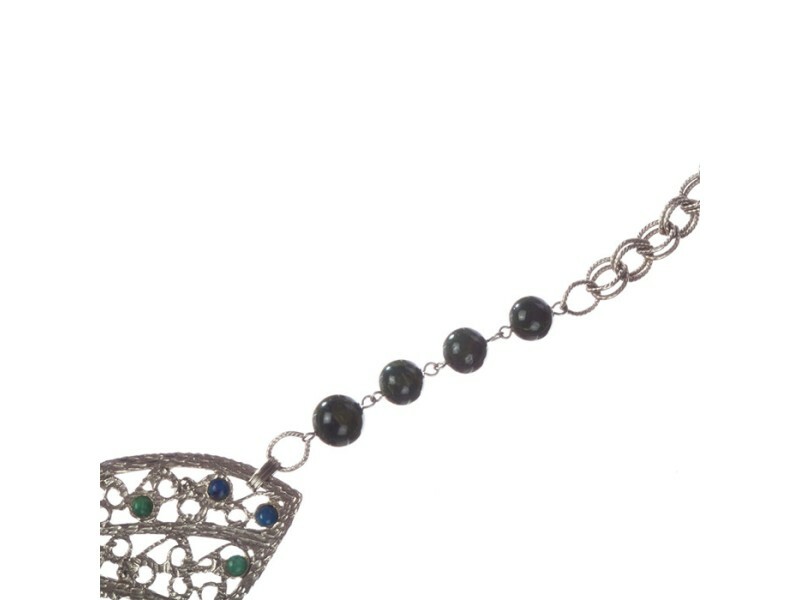 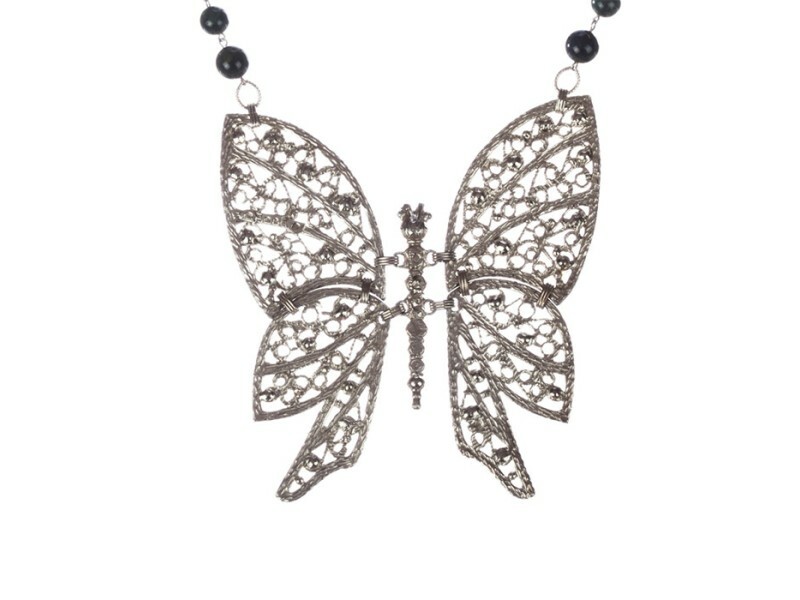 Wings of the butterfly have two joined elements which gives movement to the pendant. 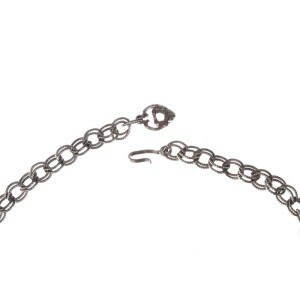 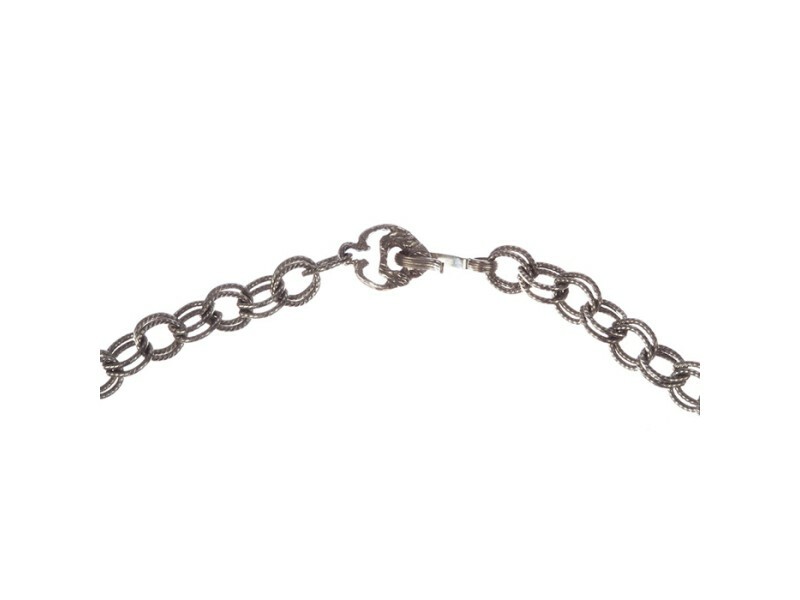 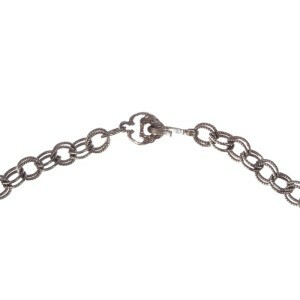 Chain beads have the diameter of 10 mm’s. 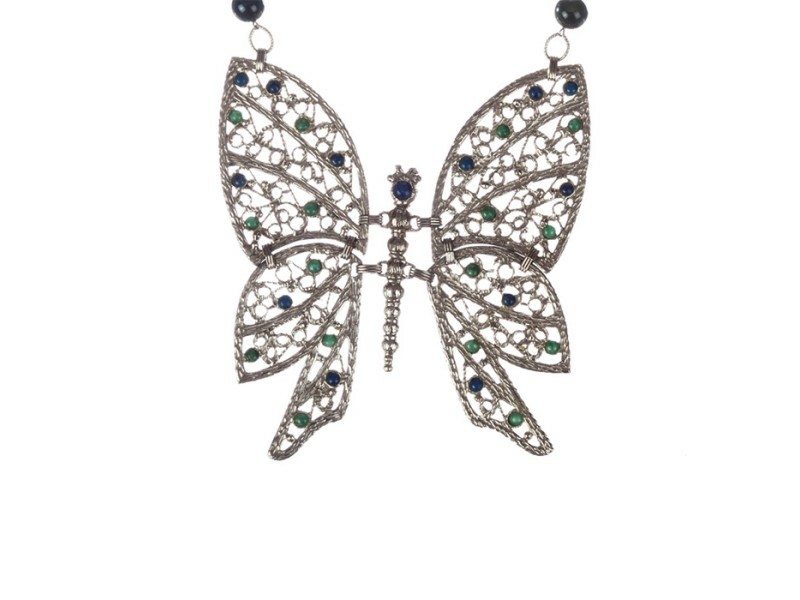 Blue and green cabochons on the butterfly range from 4 mm’s to 6 mm’s in diameter. 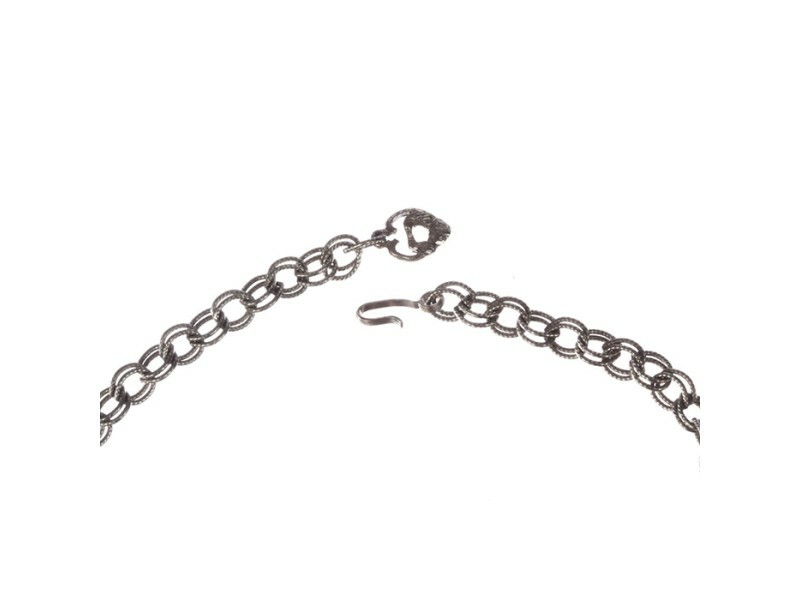 Closes with hook and eye lit, adjustable.